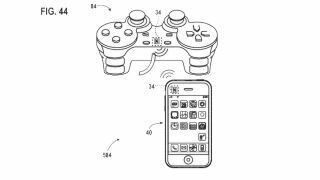 Is Apple in talks with devs to launch its own game controller? Though there are plenty of gaming controllers already available for the iPad 4 and iPhone 5, none of them have come from Apple itself. While patents have popped up in the past, Apple hasn't seen fit to develop its own gamepad for iOS gaming, and since 2007, has allowed third-party companies to rule the roost. However, sources speaking with PocketGamer revealed that might not be the case for much longer, as Apple was reportedly testing the controller waters in secret at GDC. Nobody saw the device as of yet, but the anonymous developers who sat in with Apple at the event claimed the Cupertino company was seeking day one support for the mysterious controller. To this point, Apple has seemingly been satisfied with the touch-based controls its iOS devices use for gaming. However, a recent influx of controllers and consoles from companies like Ouya and GameStick, as well as Samsung's own Galaxy S4 Game Pad may have forced Apple to be reactionary for once. PocketGamer's sources said Apple was at GDC under a fictitious name, and didn't bring any hardware along to show off thanks to frequent leaks. The controller is believed to make a showing at Apple's April event, which is typically home to the annual iPad announcement. It would certainly make sense to reveal a new controller alongside the iPad 5, but there's also a chance this purported joystick could be part of a larger plan, like the oft-rumored Apple iTV. Whatever Apple's plans are, the company clearly believes the controller is a secret to be guarded as closely as the next iOS device.